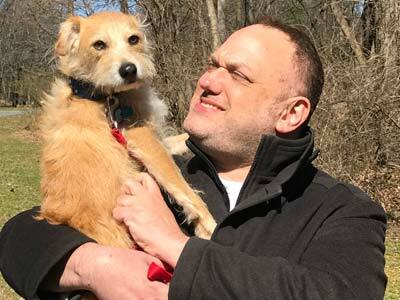 Josh Spiegel loves animals. If he could have a horse, pony or goat, he would. Unfortunately, he fears these great beasts and decided to get a dog. In 2006, Spiegel adopted Pumpernickel, a Lab-mix that he describes as “a one in a million dog”. 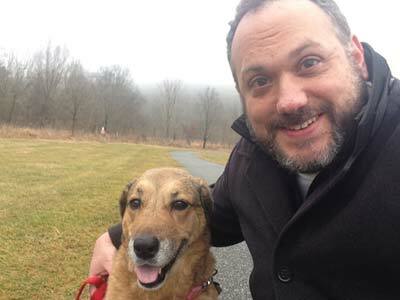 Pumpernickel was a part of the morning show so when she passed away in 2017, listeners were heartbroken and responded with stories of losing their own pets. It didn’t take very long for a small terrier to run into Spiegel’s life. Farfel is a bundle of energy and never ceases to put a smile on Spiegel’s face—a feat that isn’t easy for anyone to accomplish.